Working under one roof enables communication between members of the care team and allows us to deliver quality care to our patients. Dr. Saba Radhi joined Cancer Treatment Centers of America® (CTCA), Phoenix, in October 2017, and also provides medical oncology consultations to patients in the CTCA® Outpatient Care Center in North Phoenix. An experienced oncologist, Dr. Radhi is triple board certified in internal medicine, medical oncology and geriatric medicine. As a Medical Oncologist at CTCA, she sees a variety of cancer patients, but focuses much of her time treating patients with gastrointestinal and breast cancer. Dr. Radhi earned a medical degree from the Sultan Qaboos University, College of Medicine in Oman. She then moved to the United States, earning a Master of Science degree in clinical and biomedical investigations from Keck School of Medicine of the University of Southern California in Los Angeles, California. She completed a residency in internal medicine at Texas Tech University Health Science Center in Lubbock, Texas, where she also completed a fellowship in medical oncology and geriatric medicine. 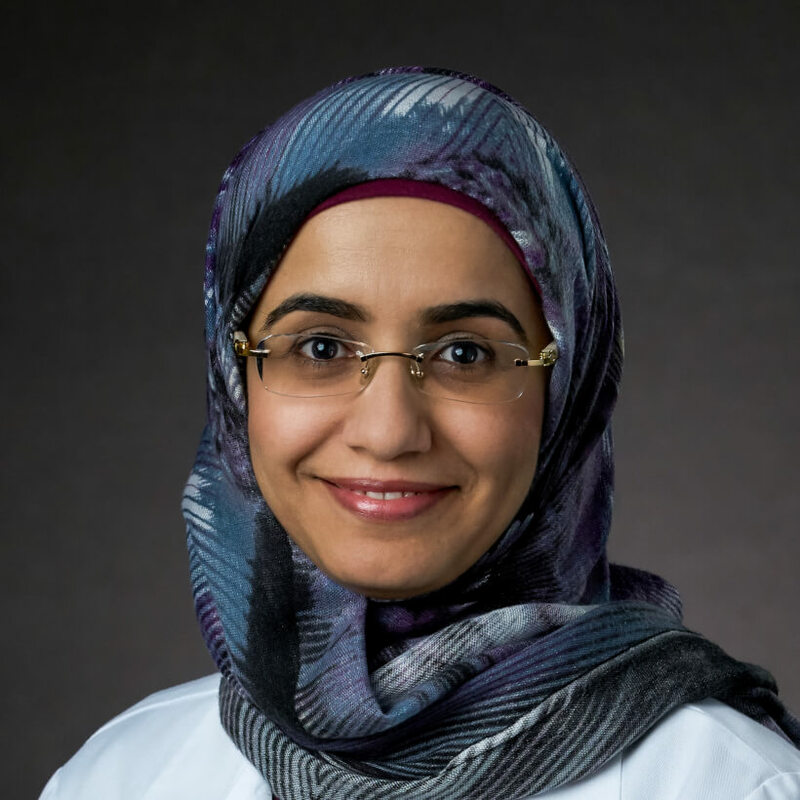 Dr. Radhi is a member of several organizations, including the American Society of Clinical Oncology and International Society of Geriatric Oncology. Her work has been published in numerous publications, and she’s been heavily involved in cancer-related research. Outside of CTCA, Dr. Radhi enjoys spending time with her family. Her interests include baking and yoga.